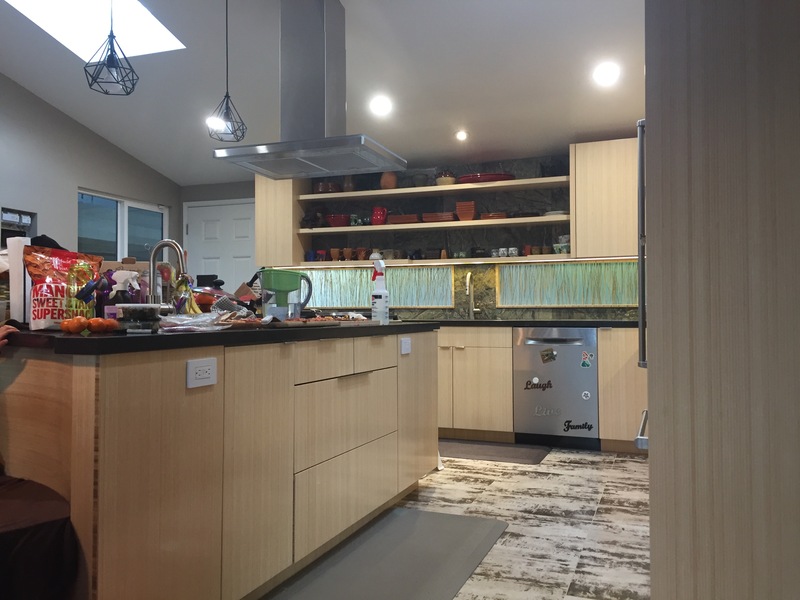 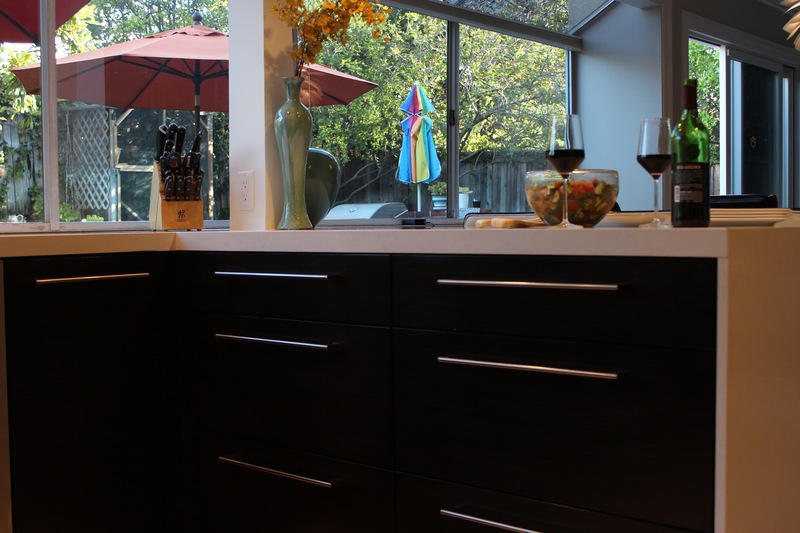 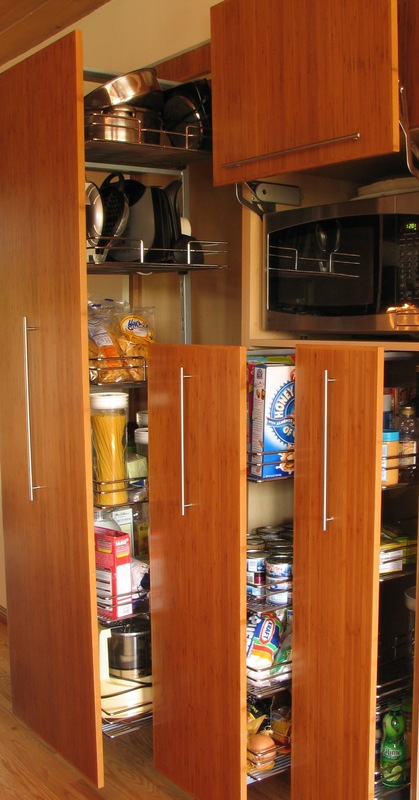 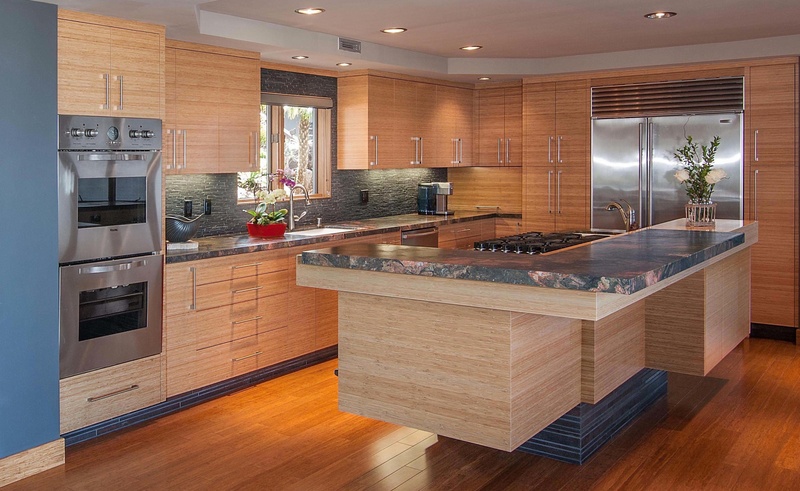 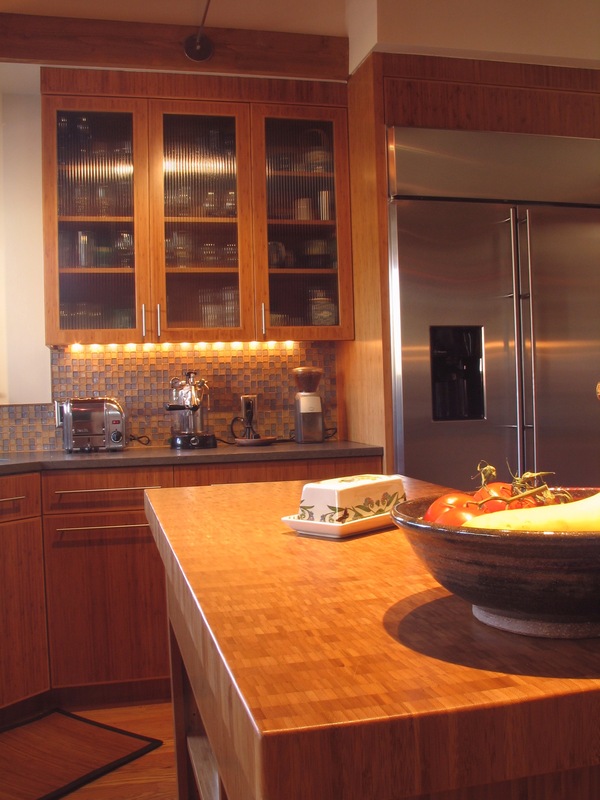 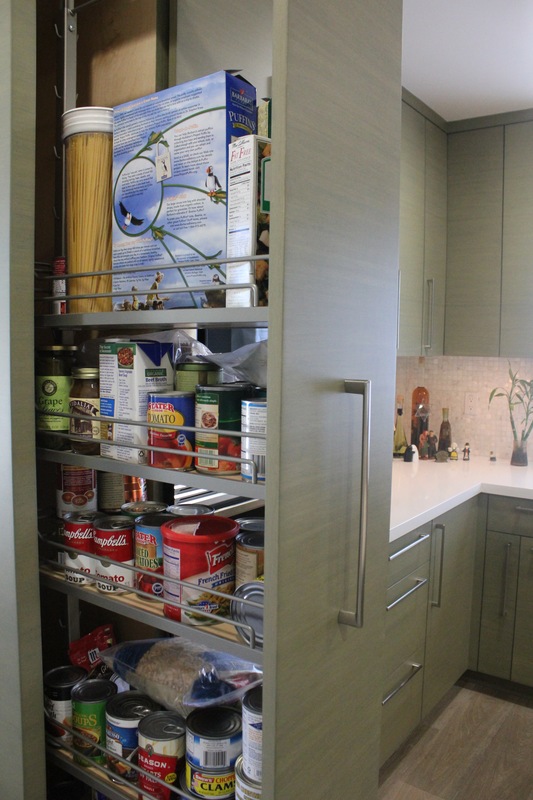 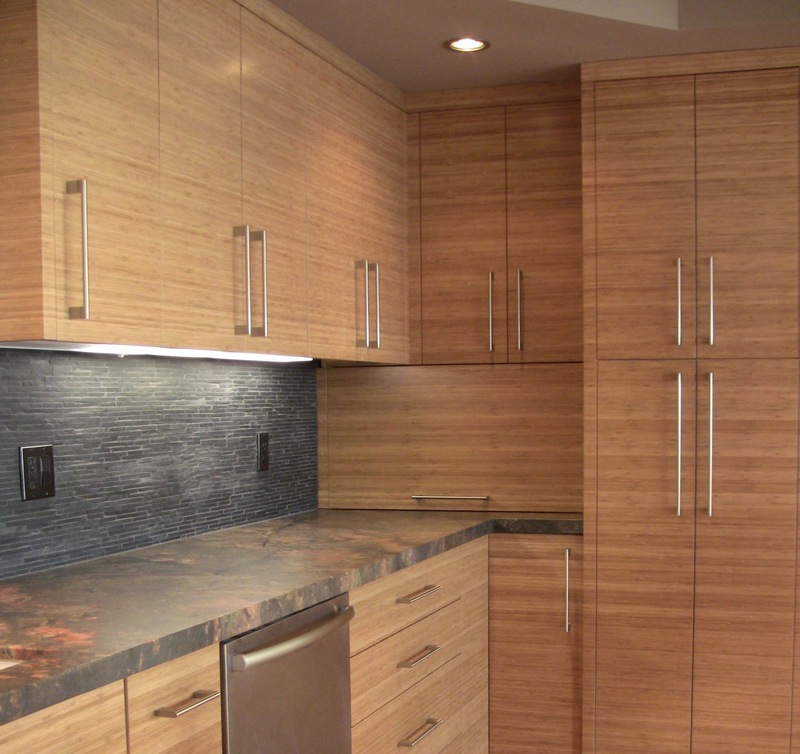 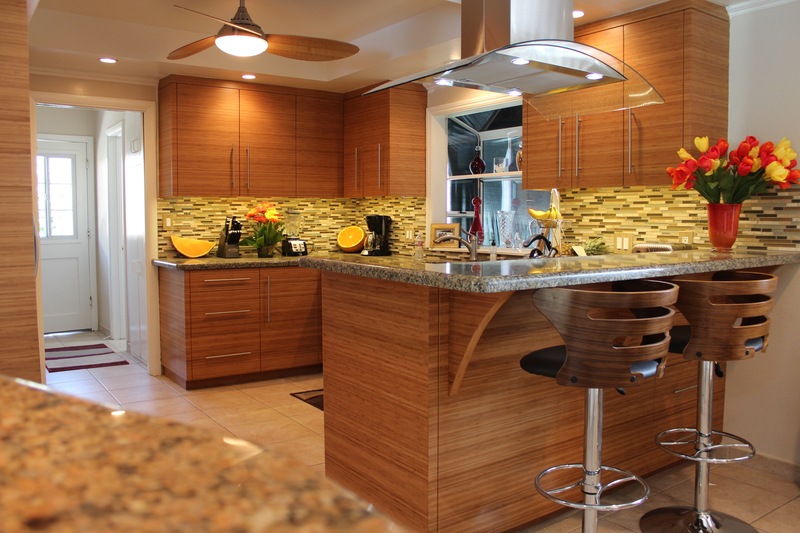 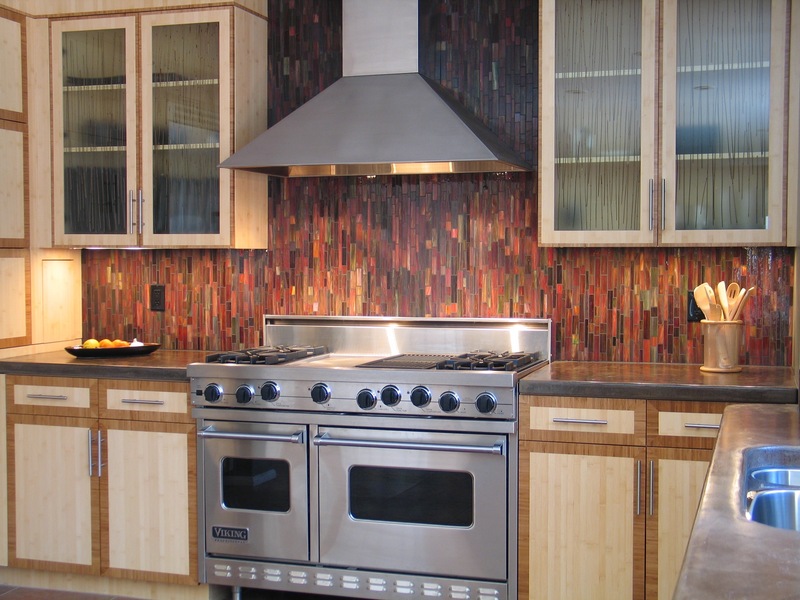 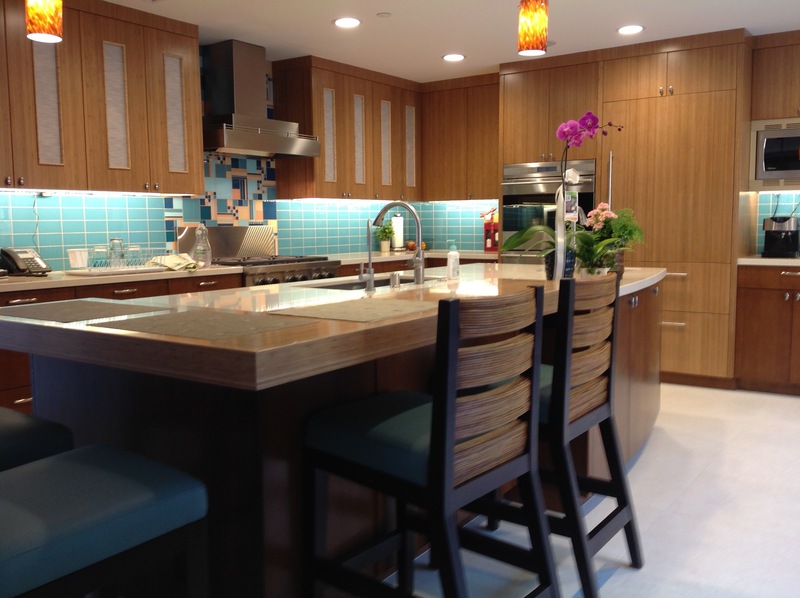 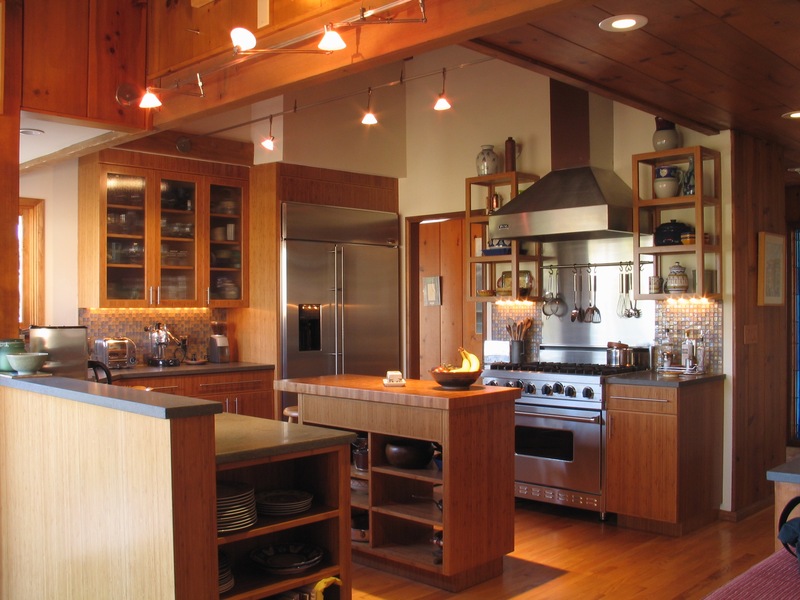 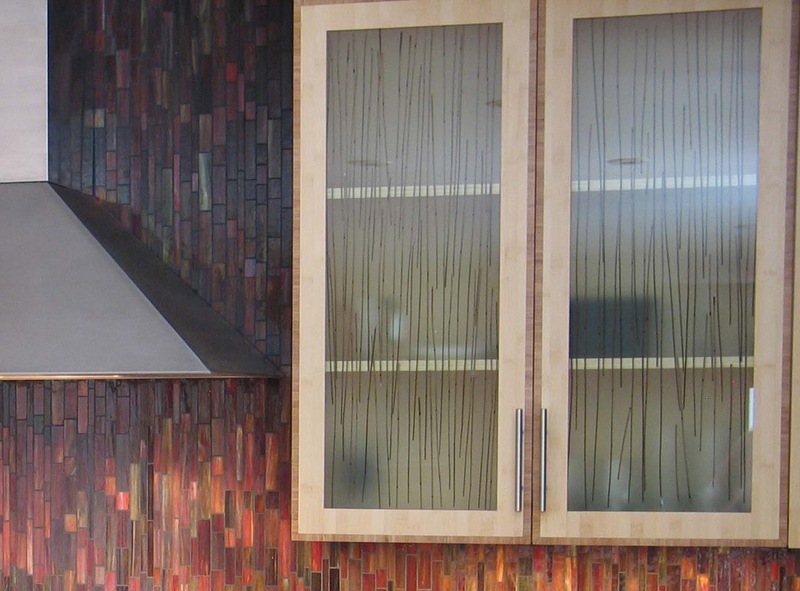 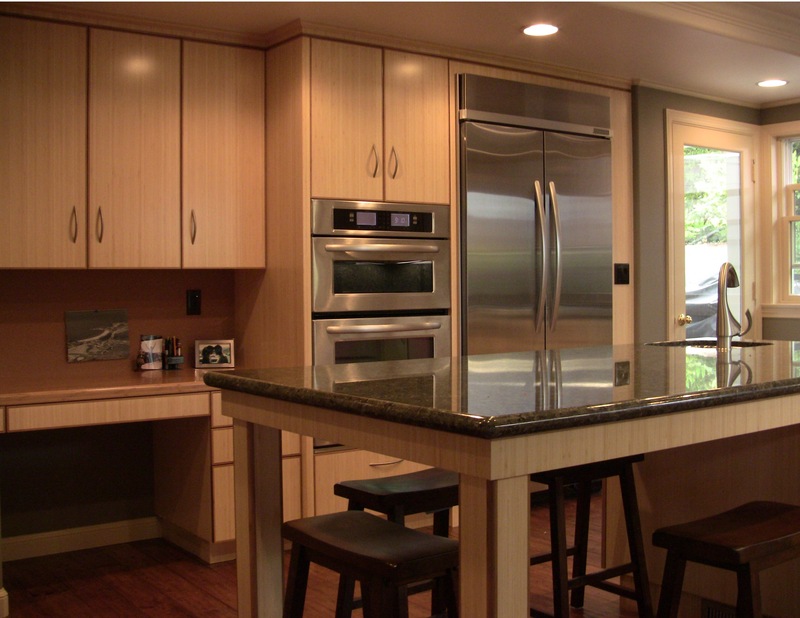 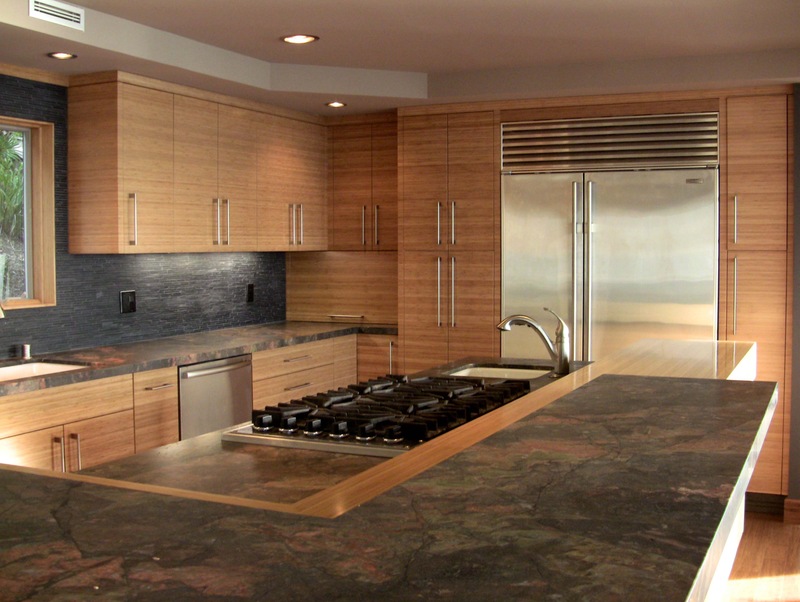 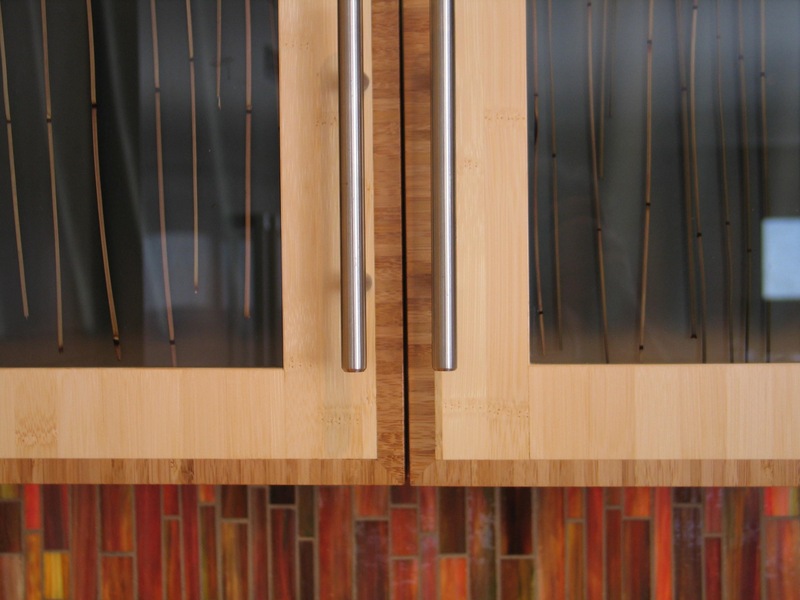 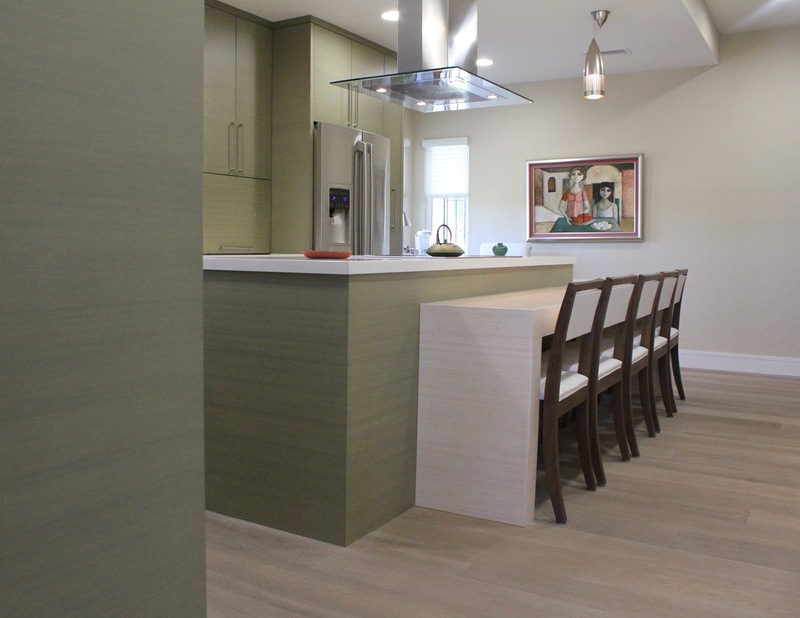 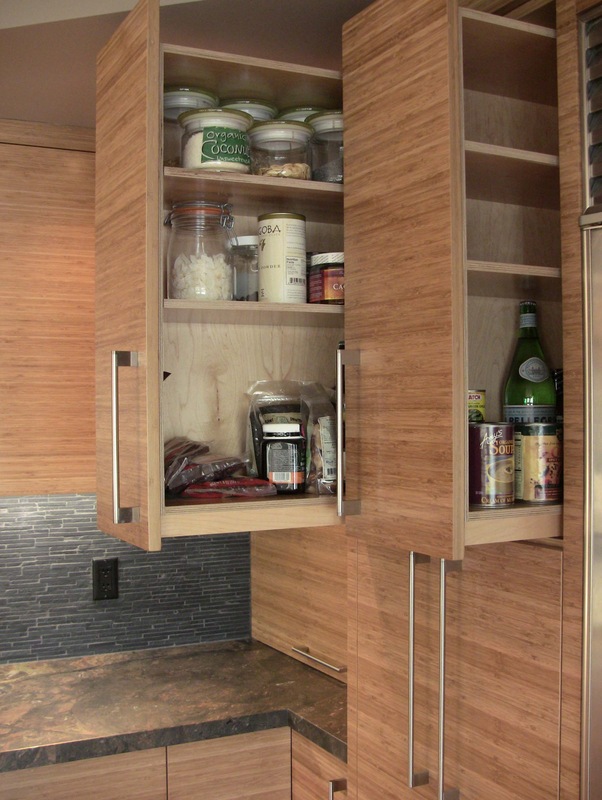 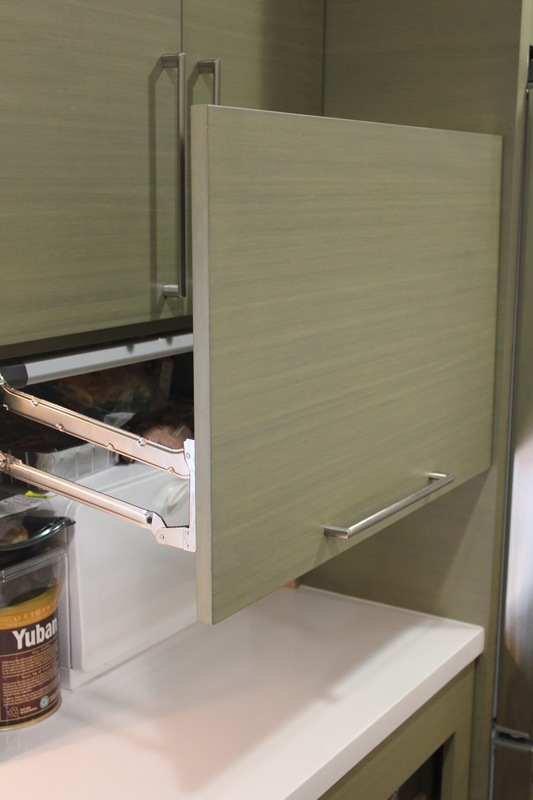 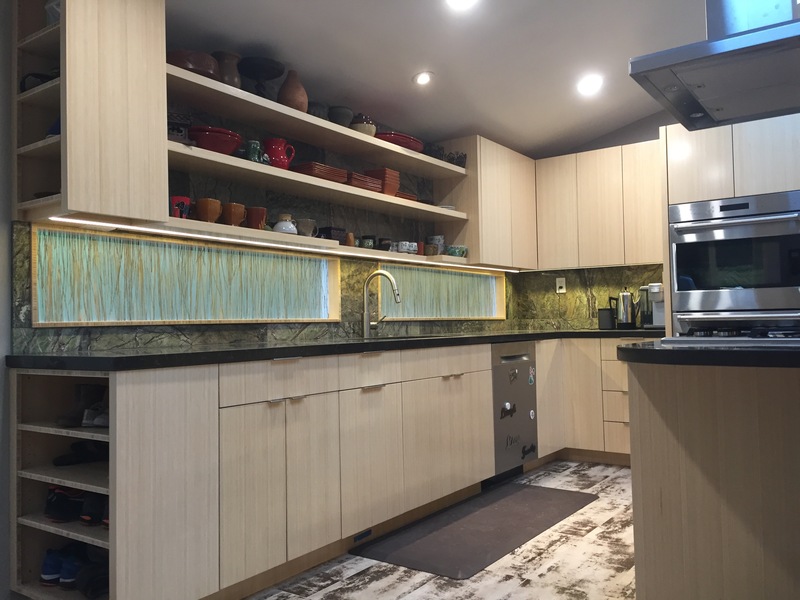 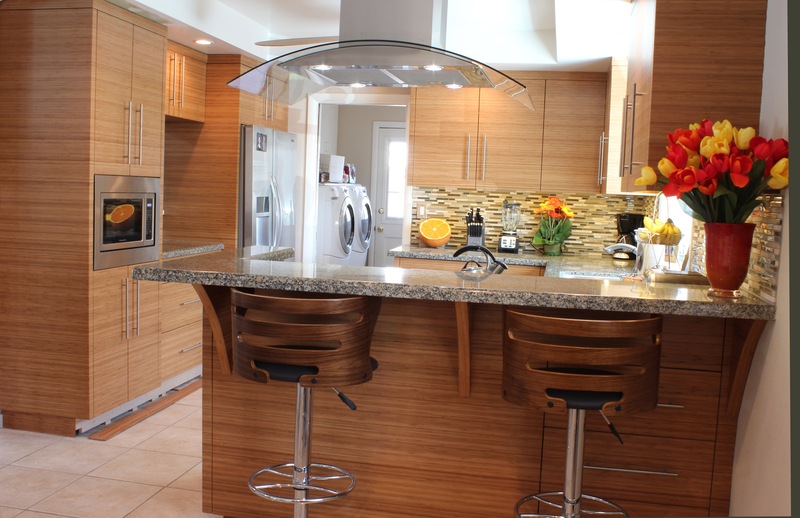 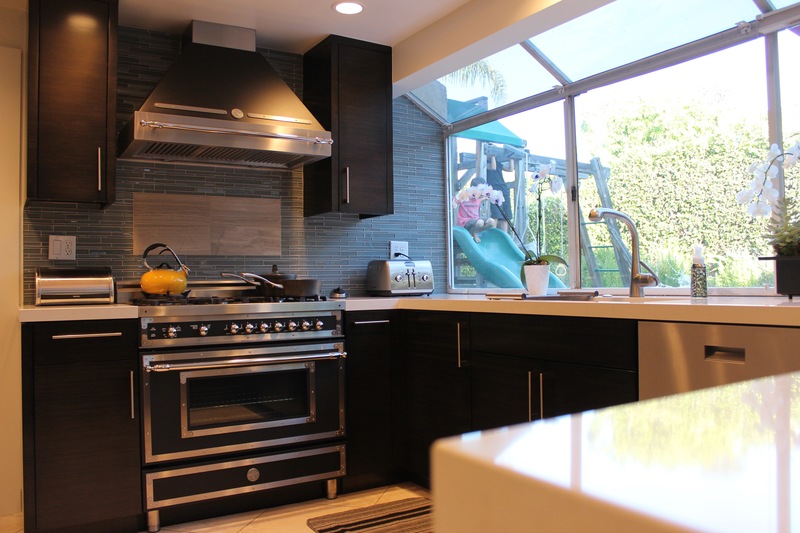 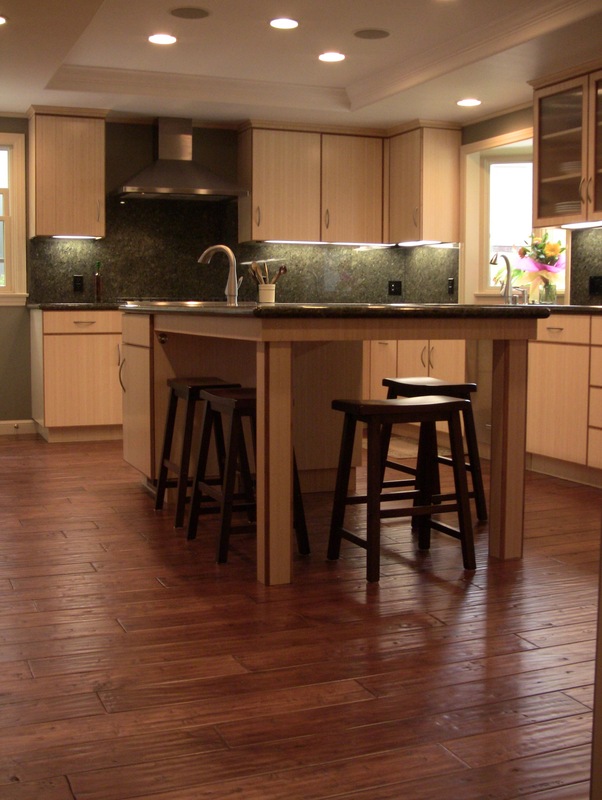 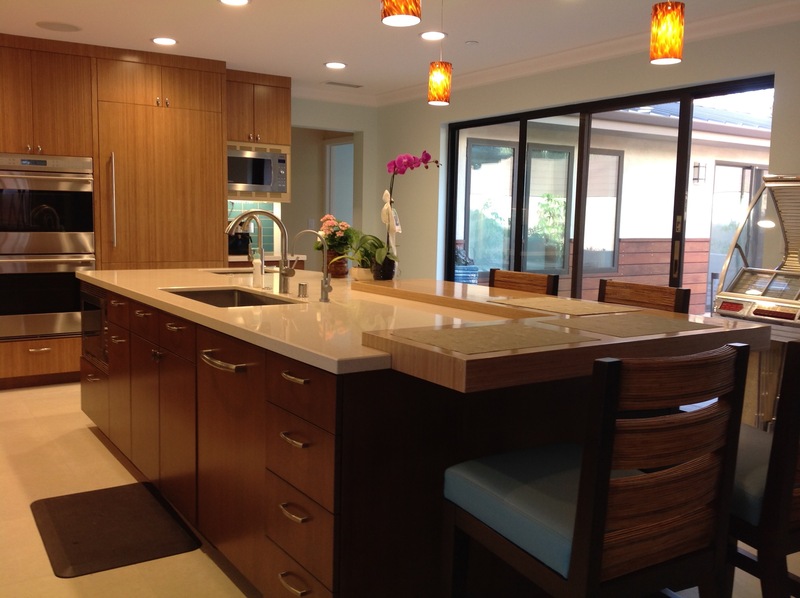 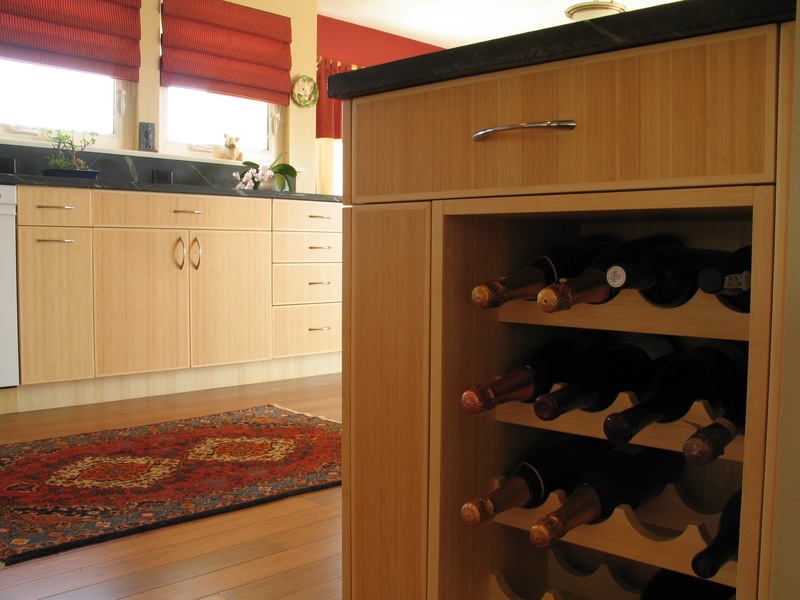 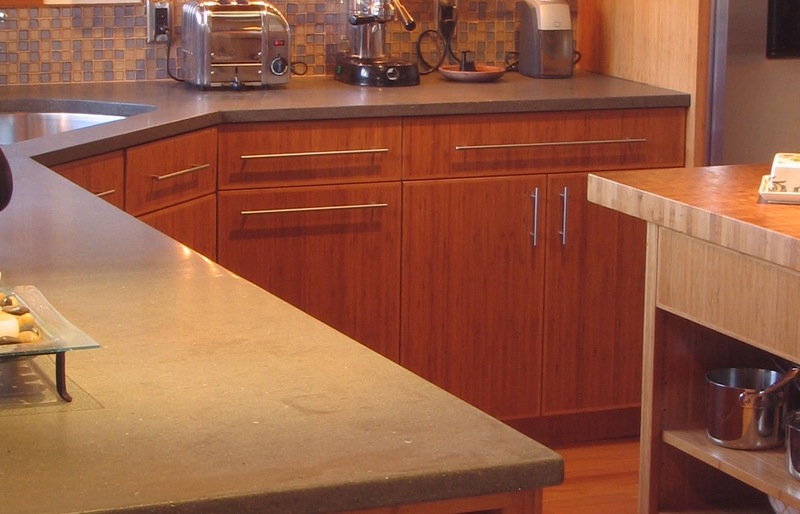 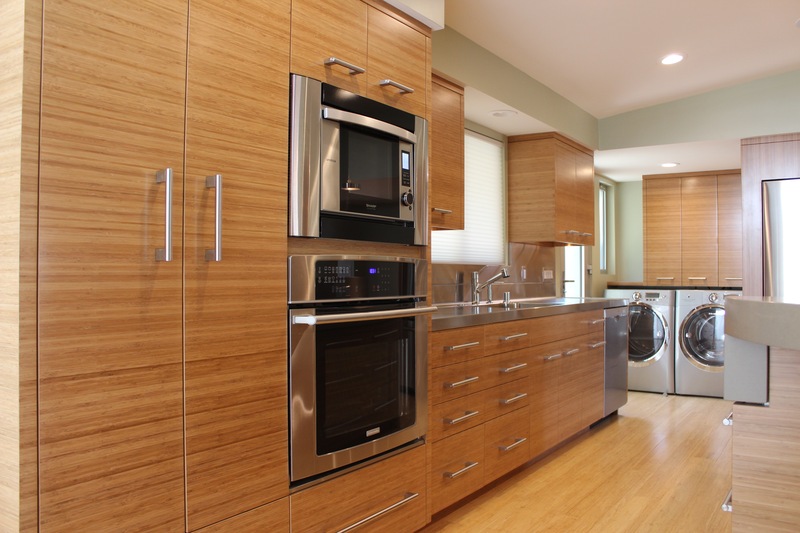 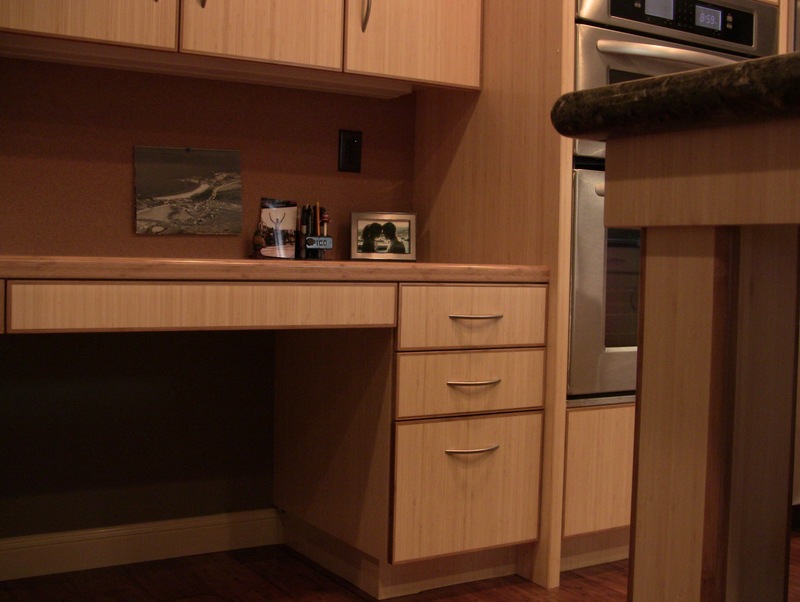 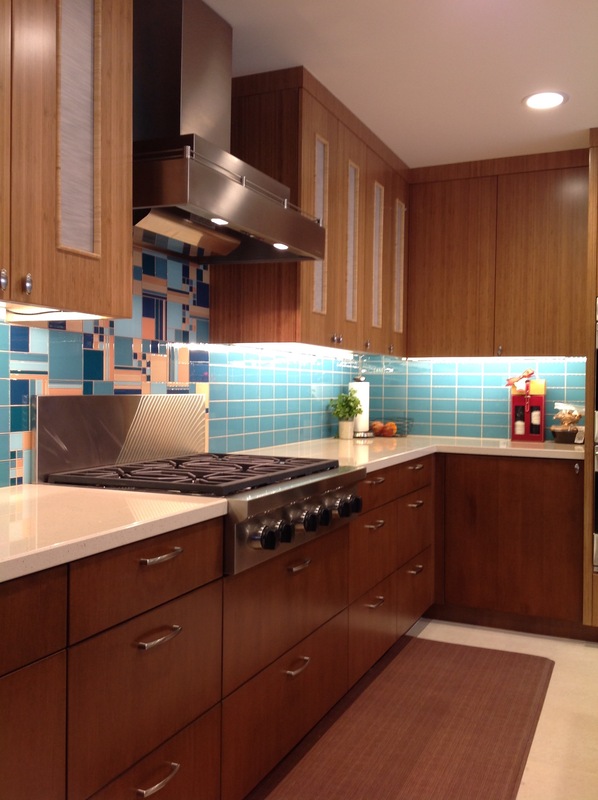 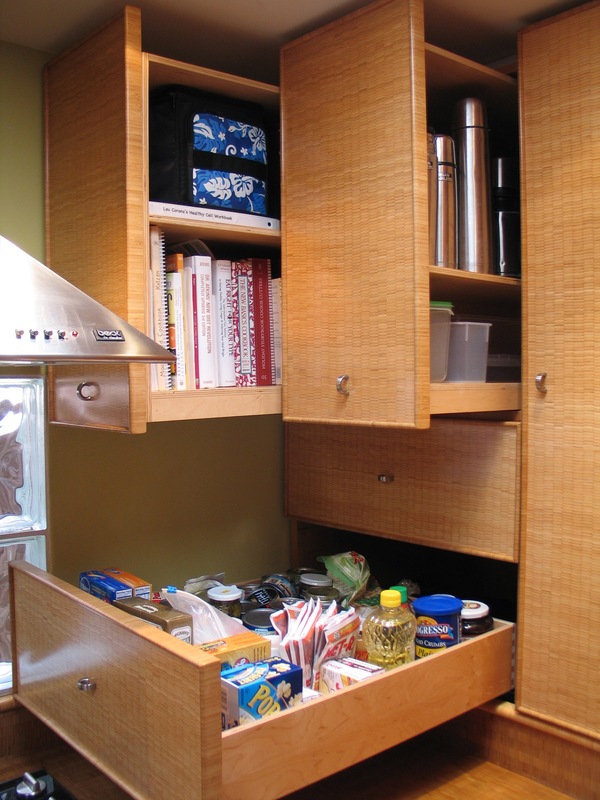 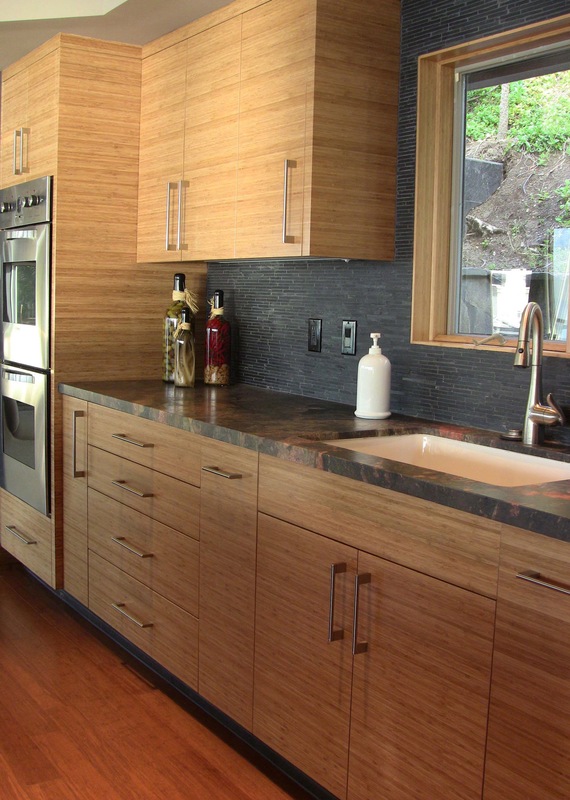 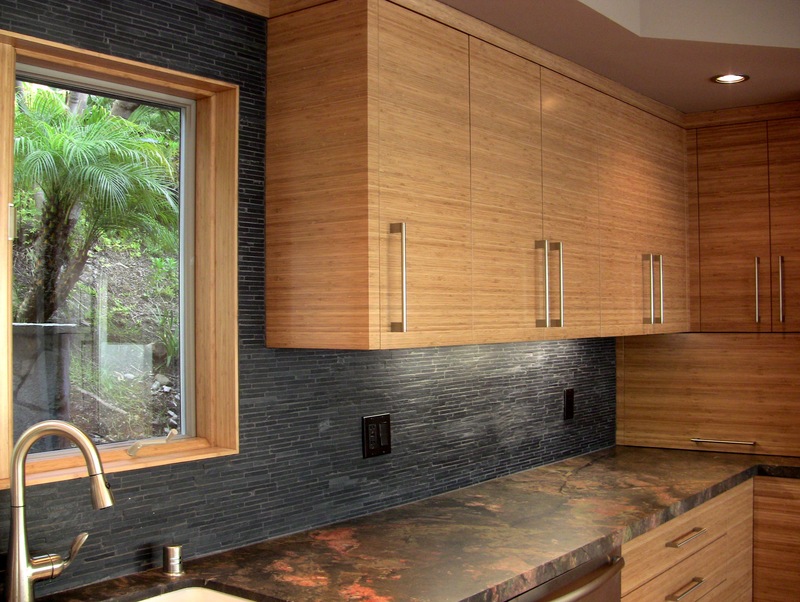 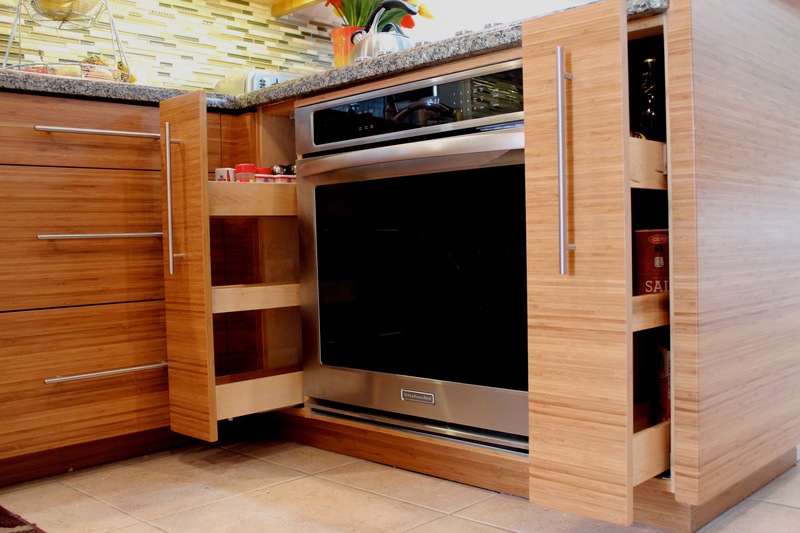 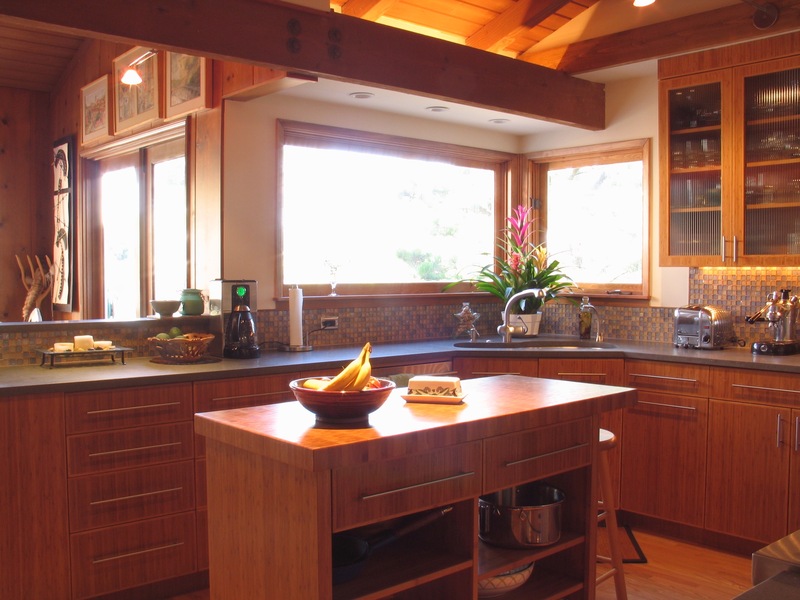 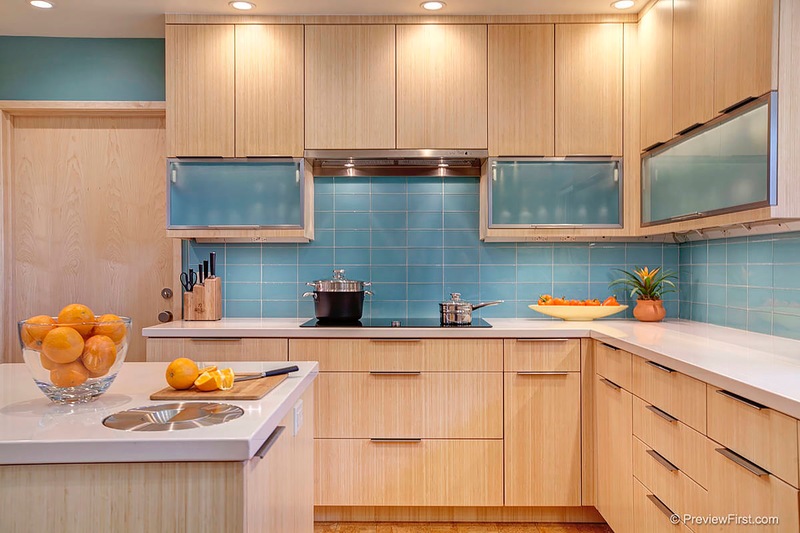 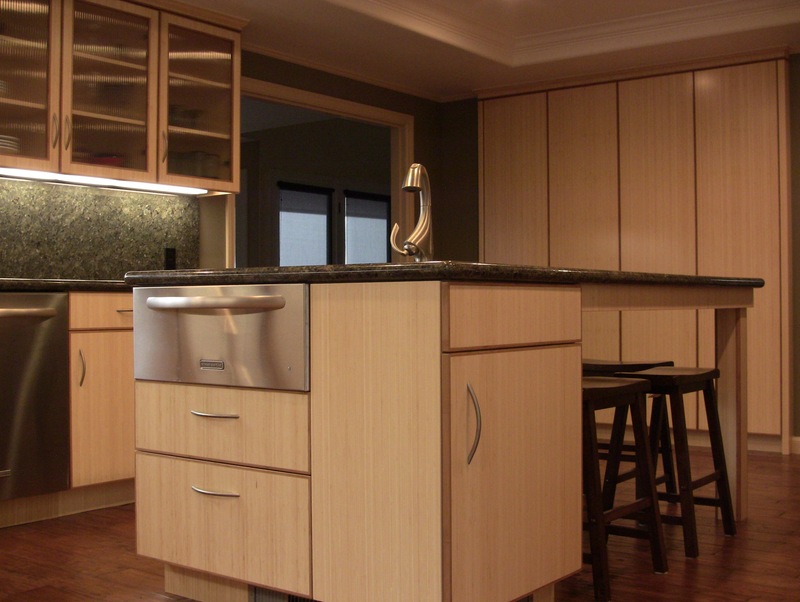 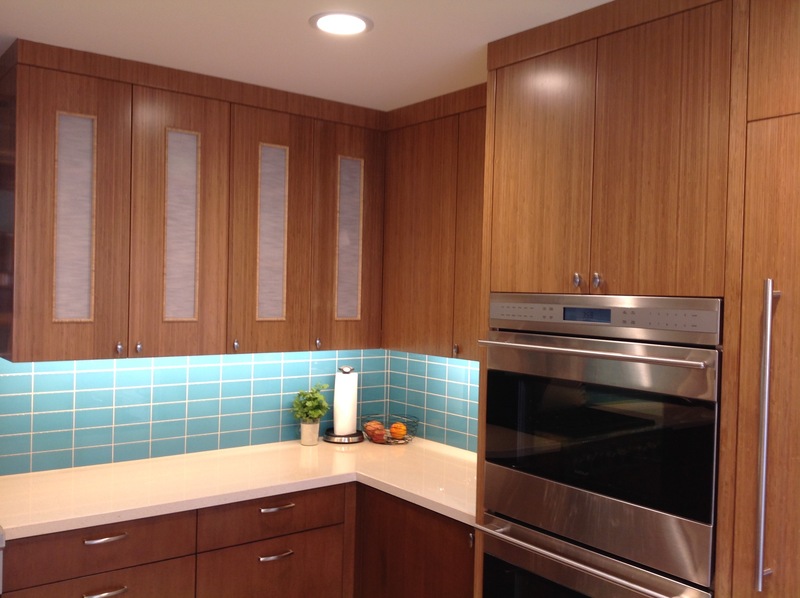 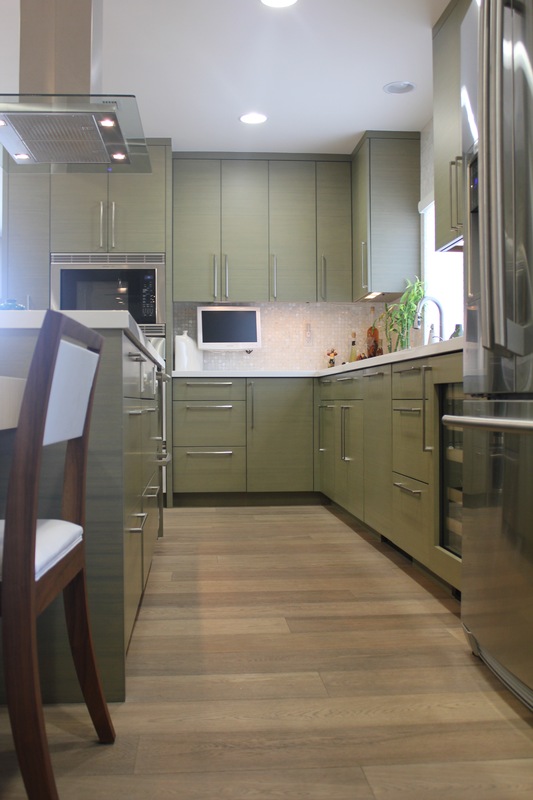 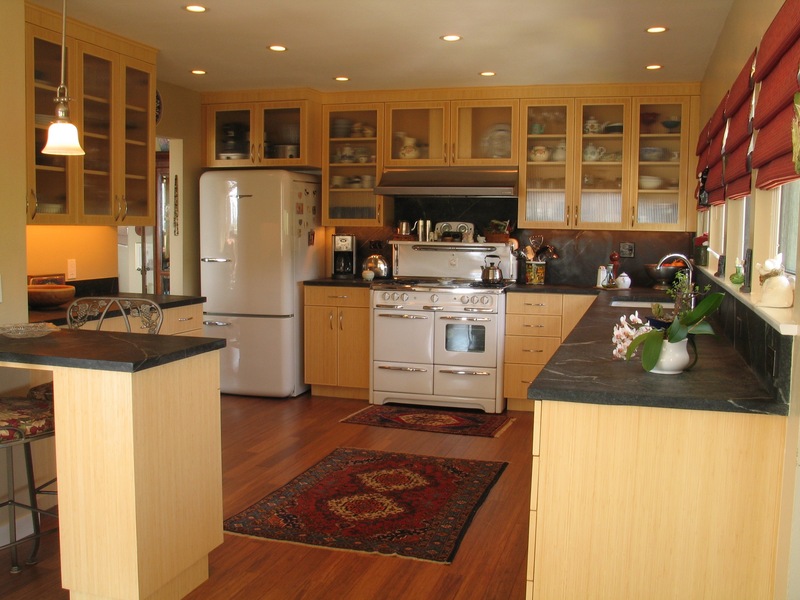 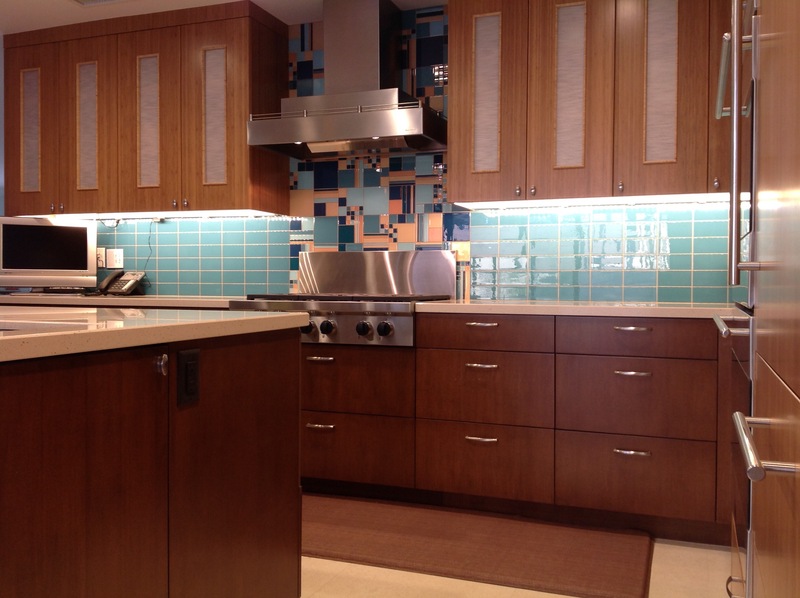 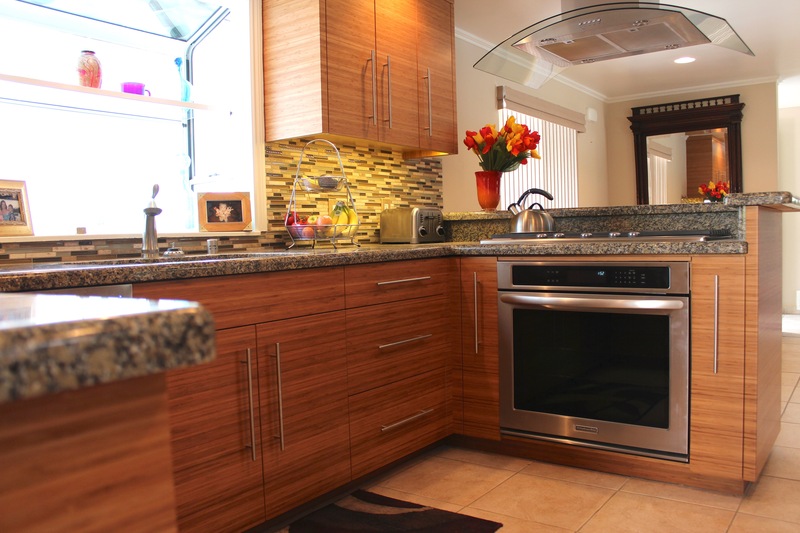 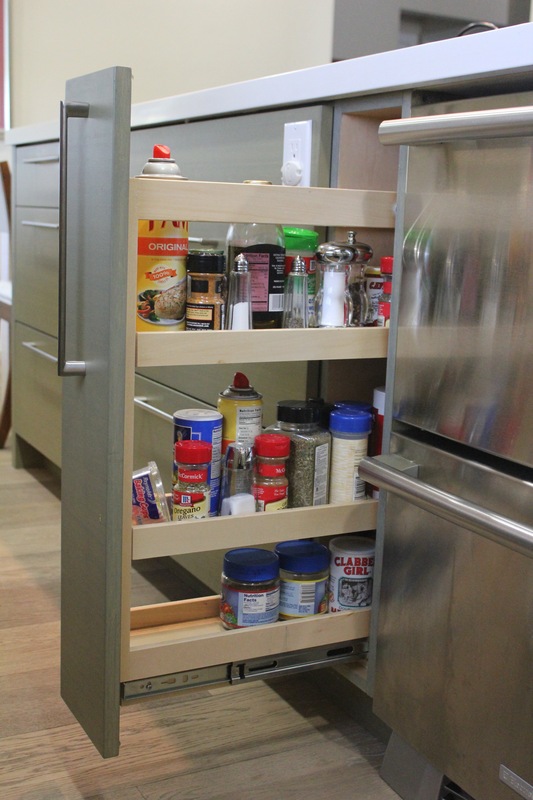 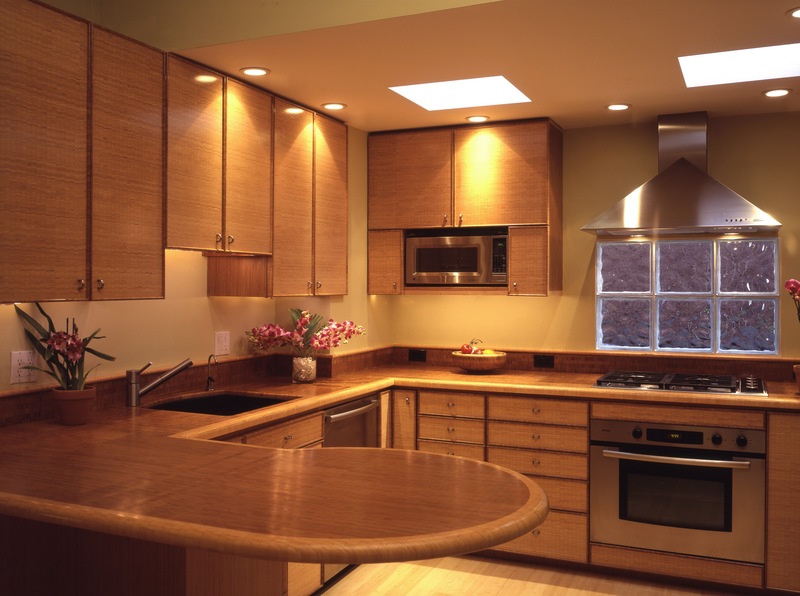 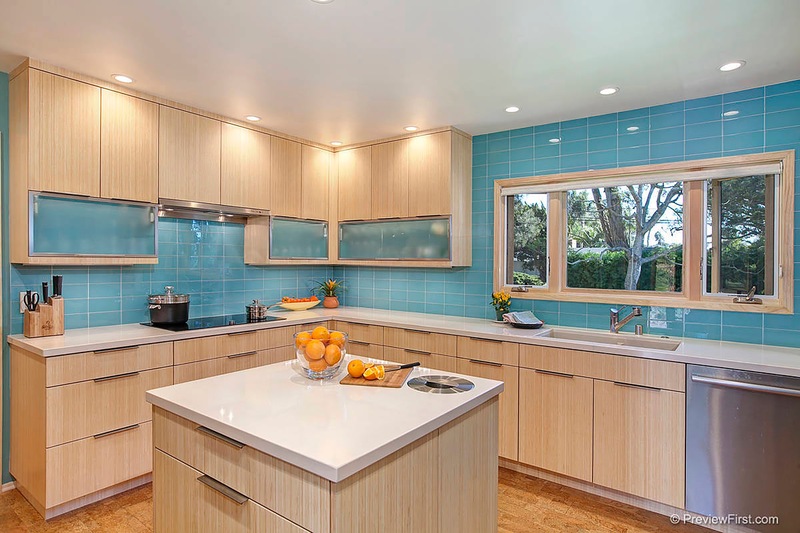 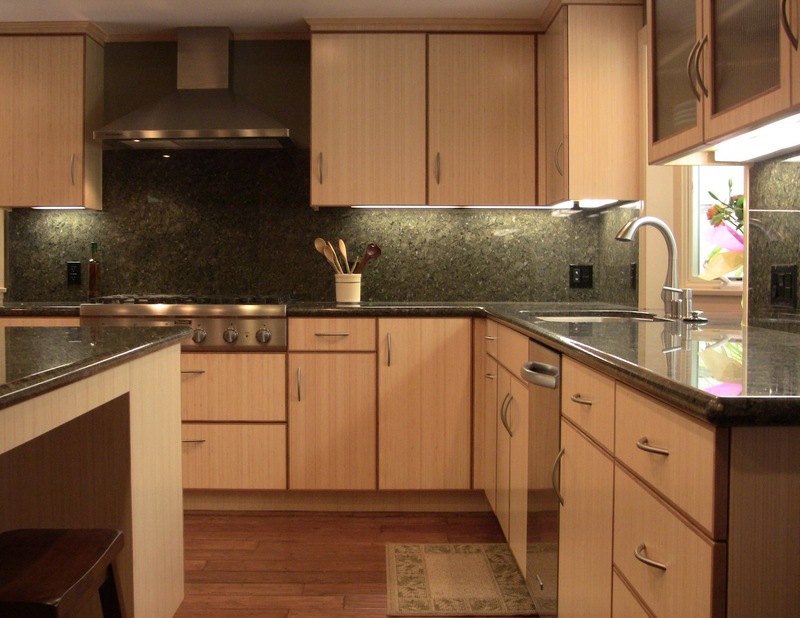 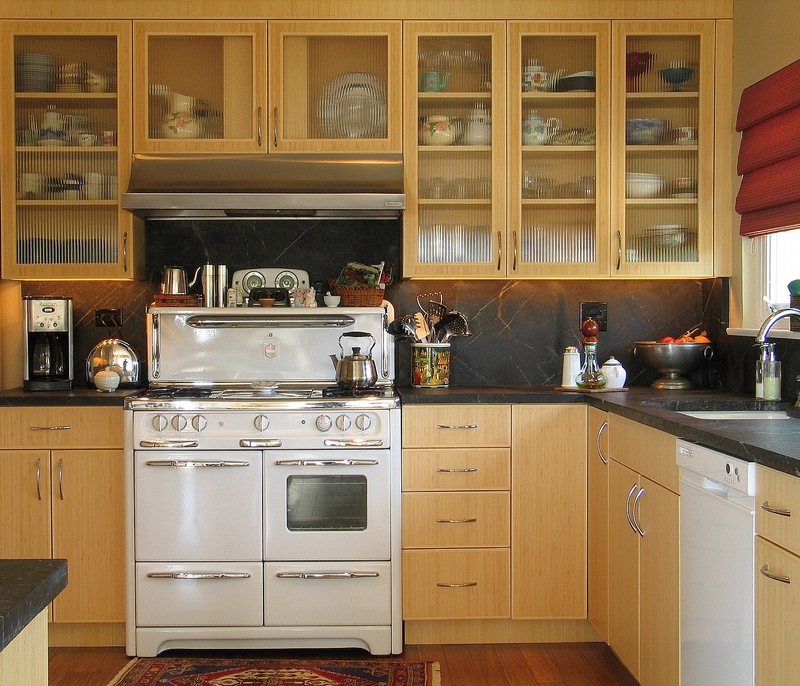 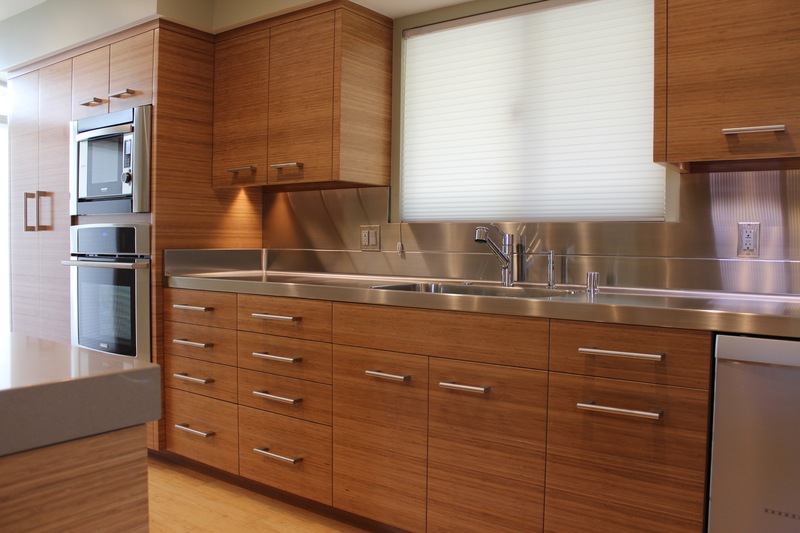 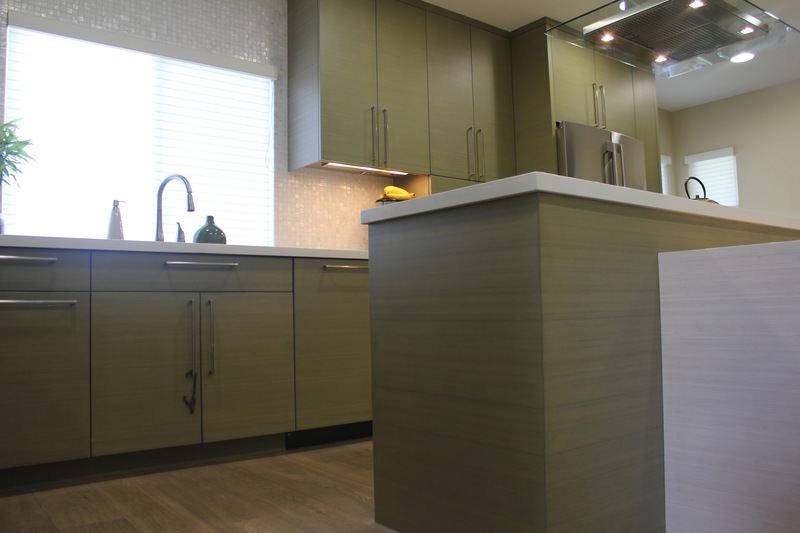 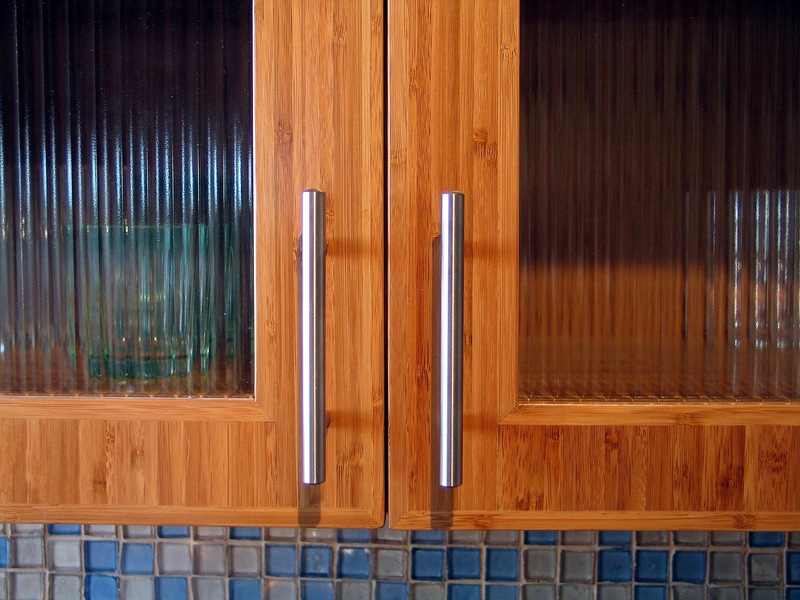 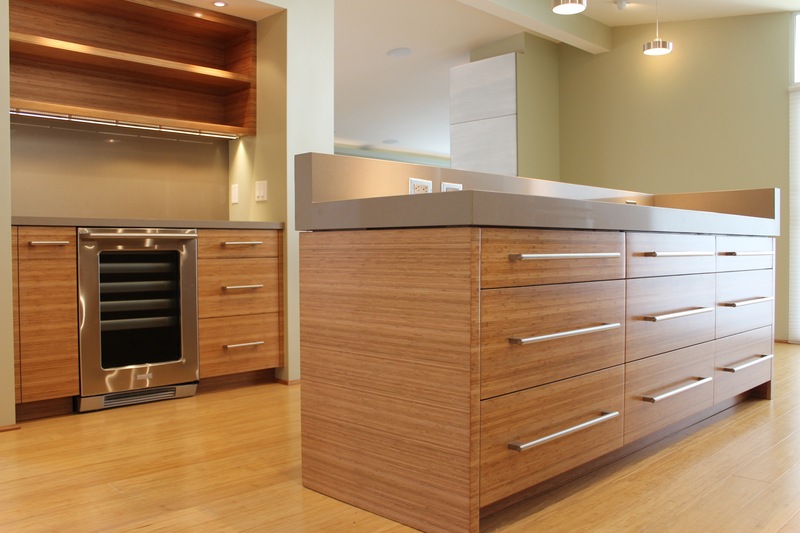 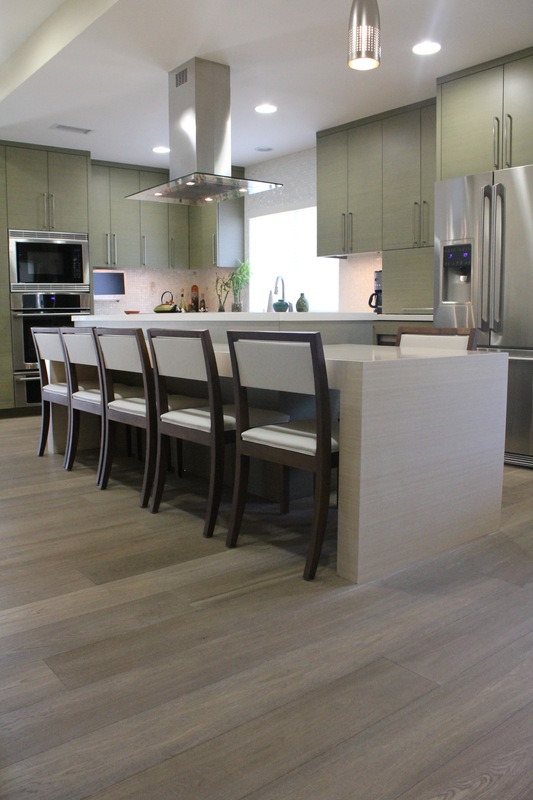 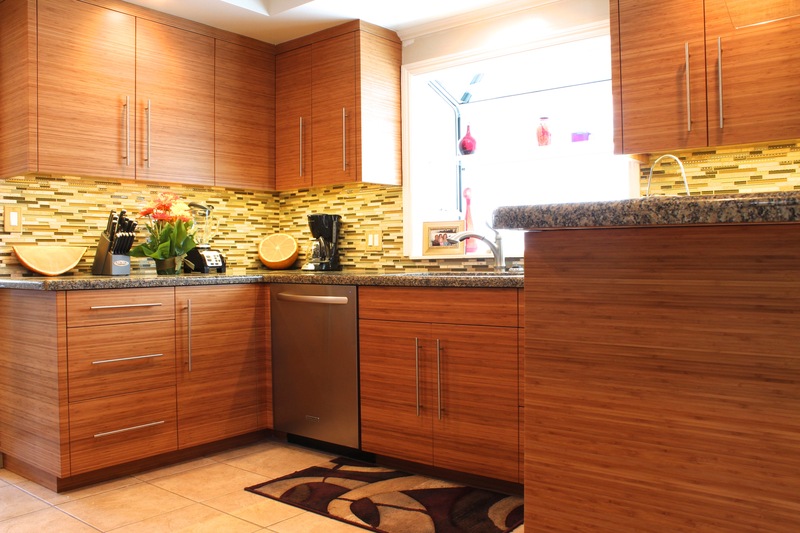 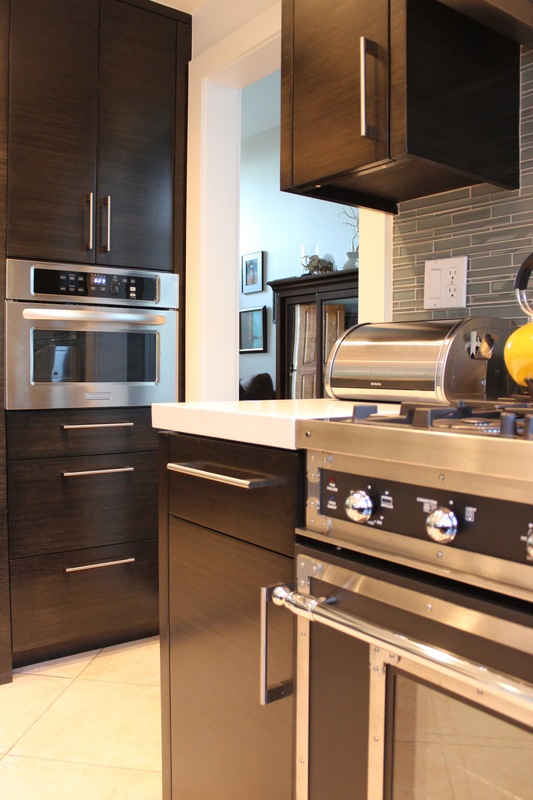 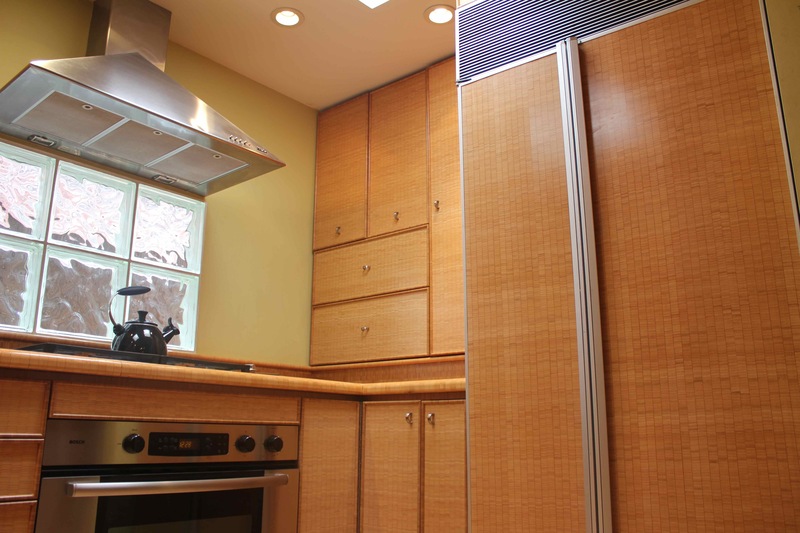 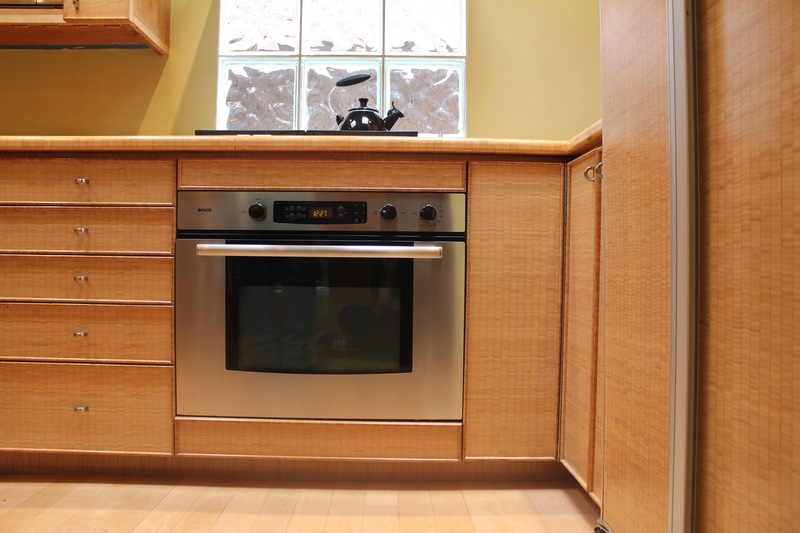 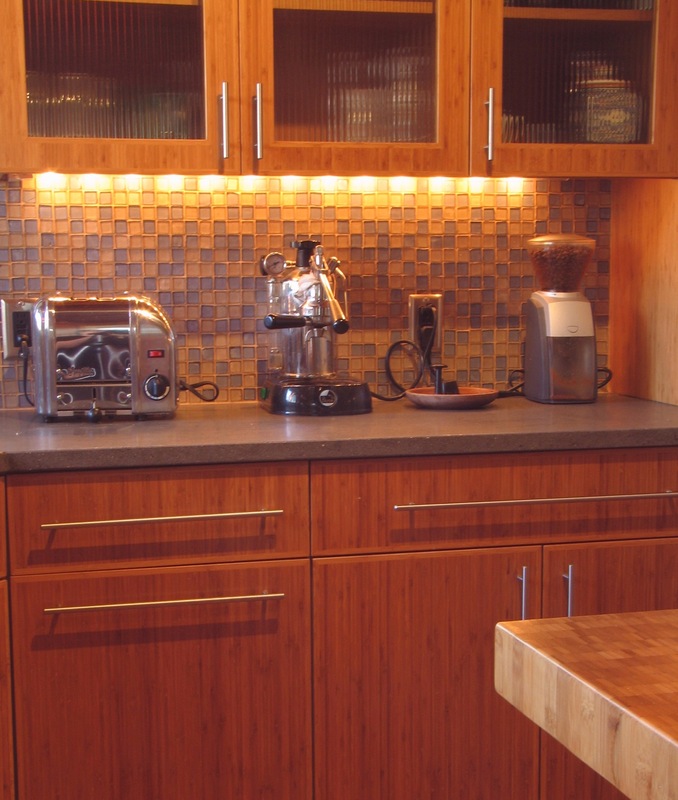 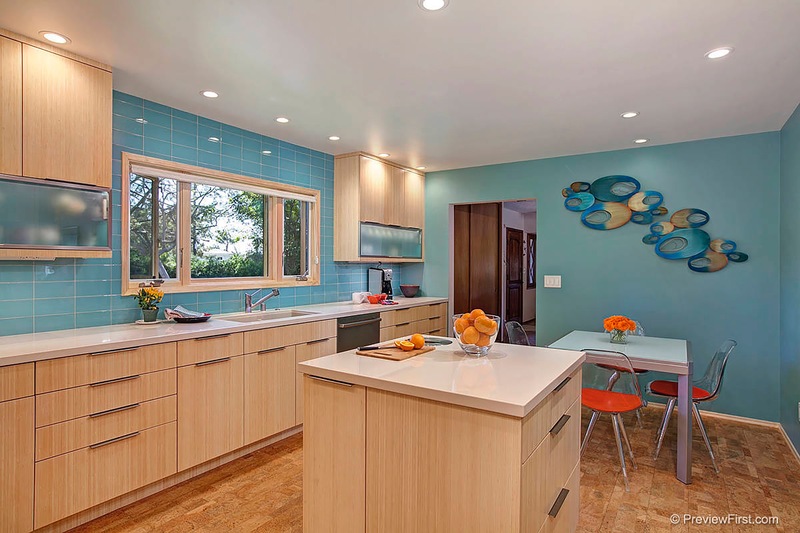 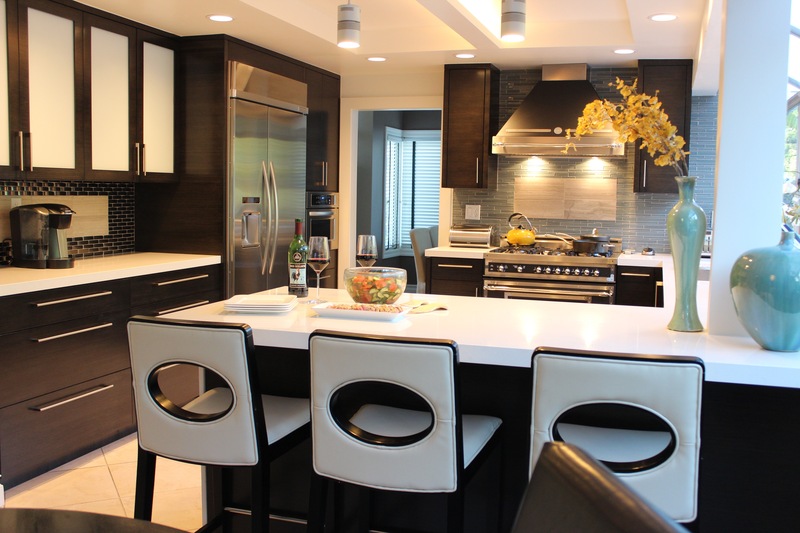 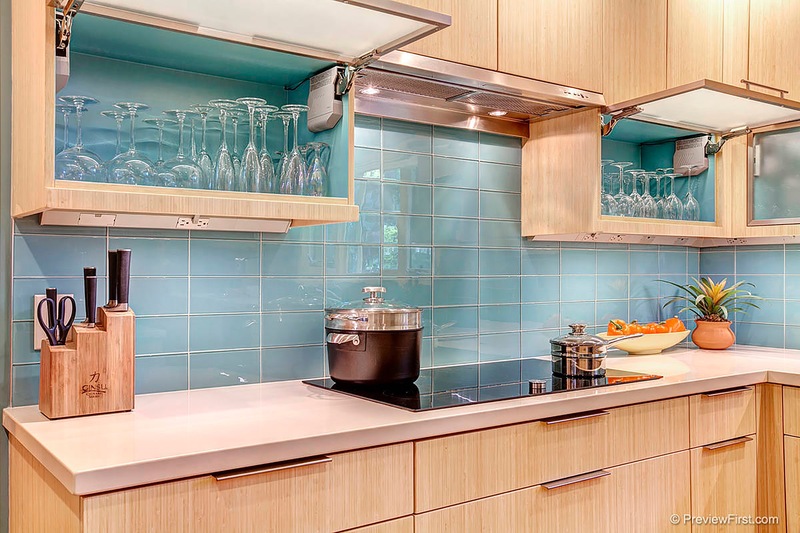 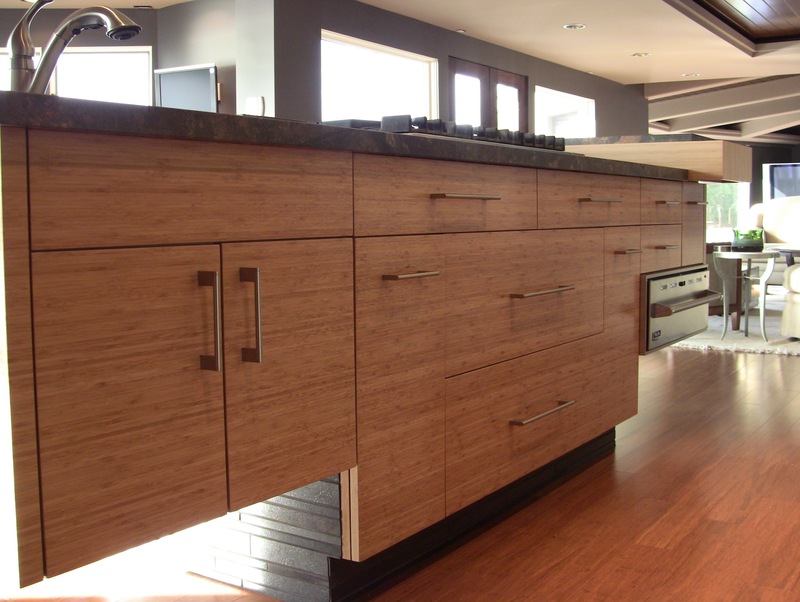 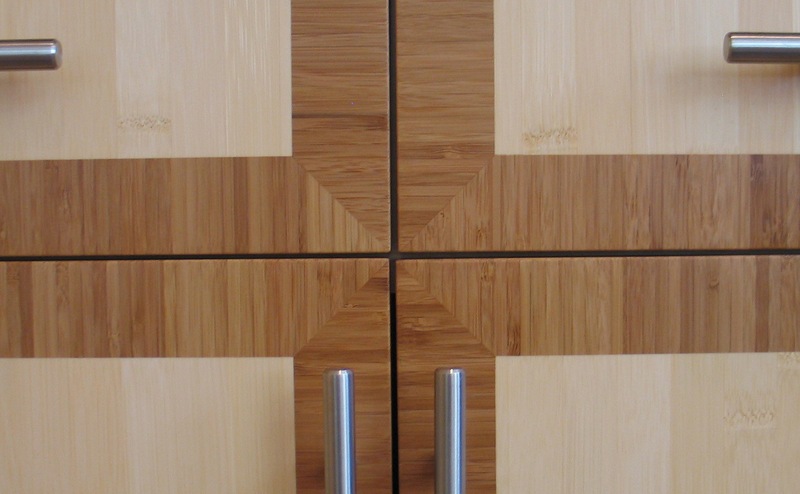 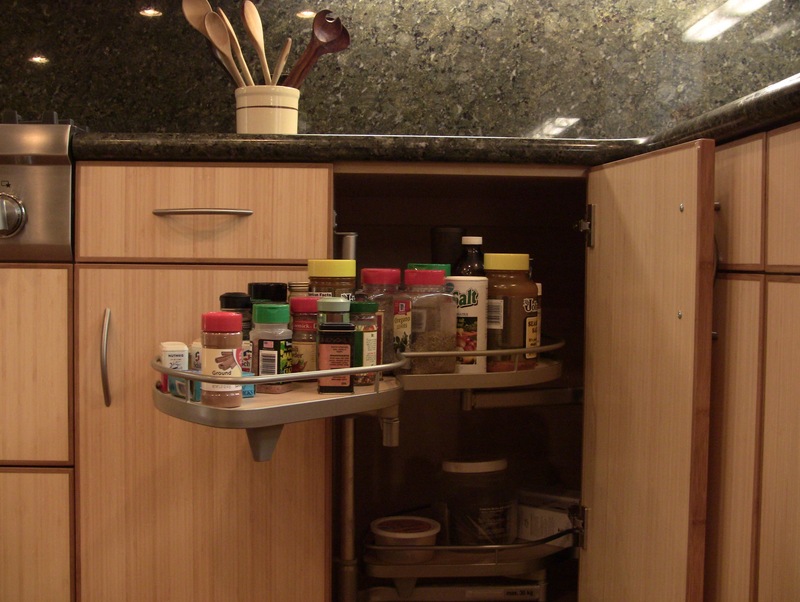 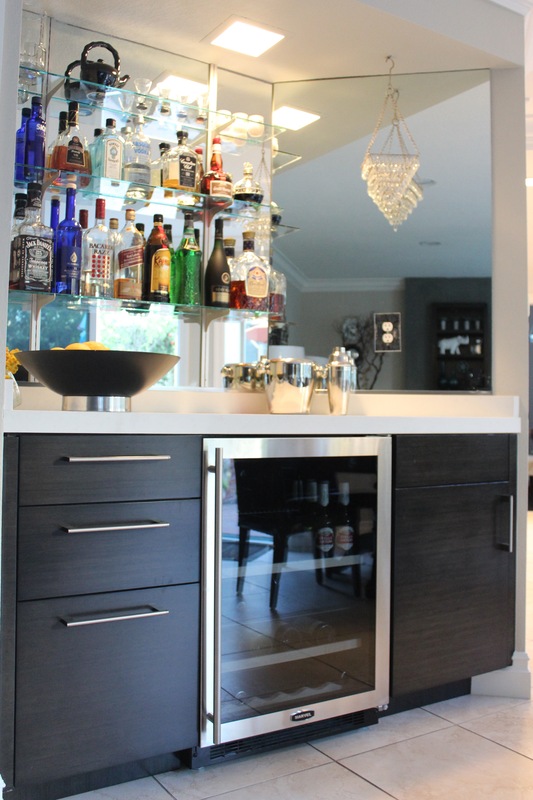 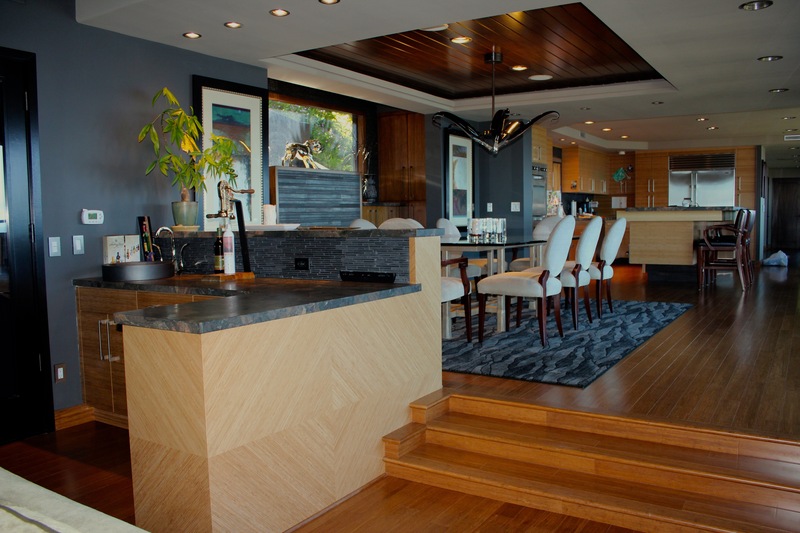 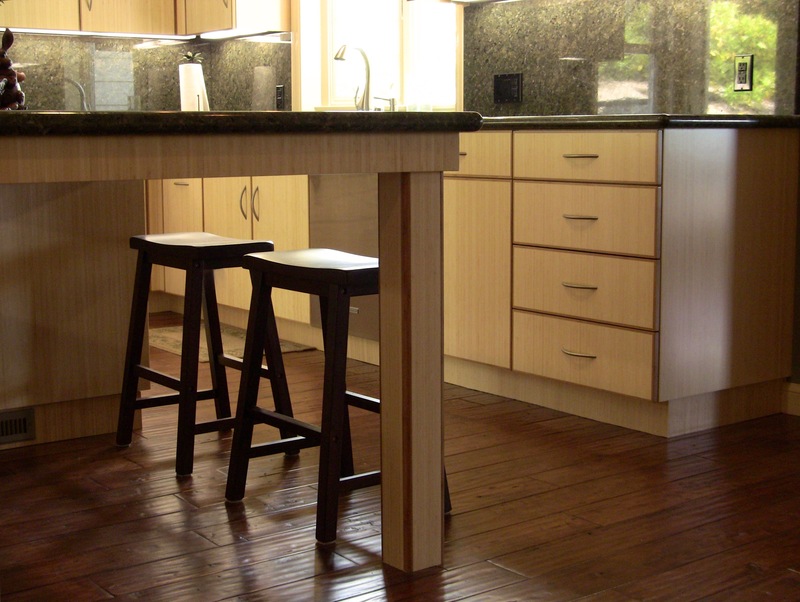 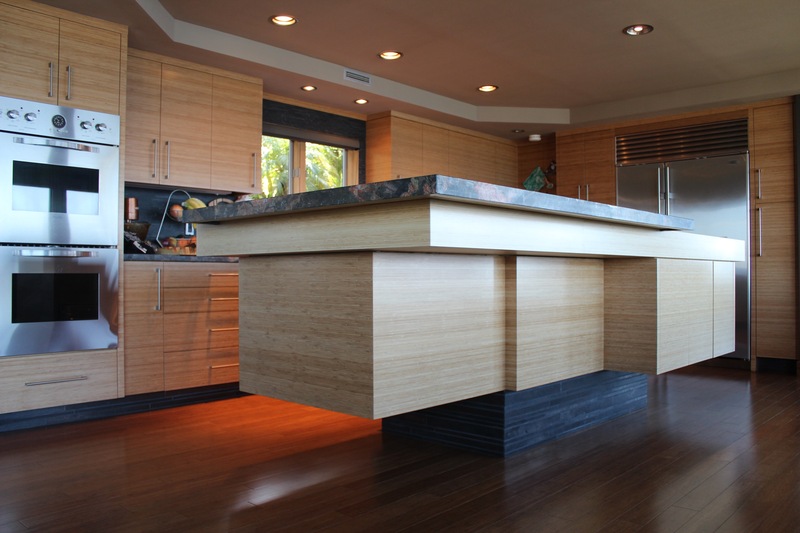 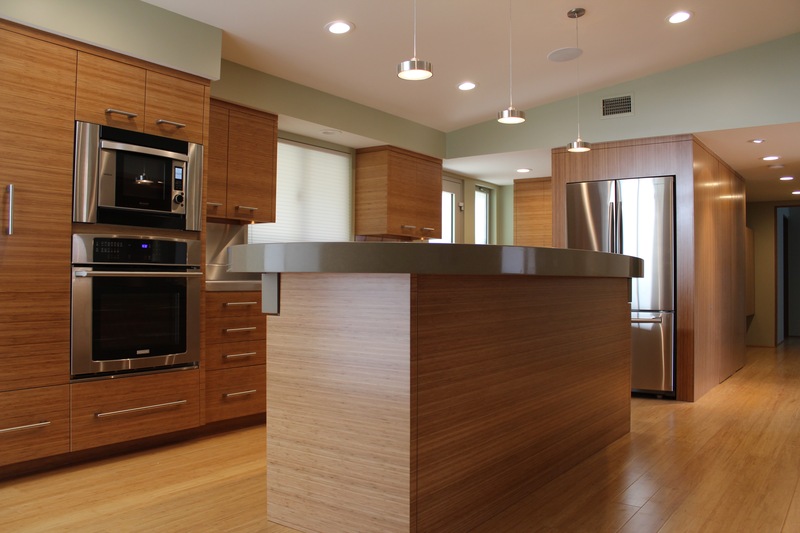 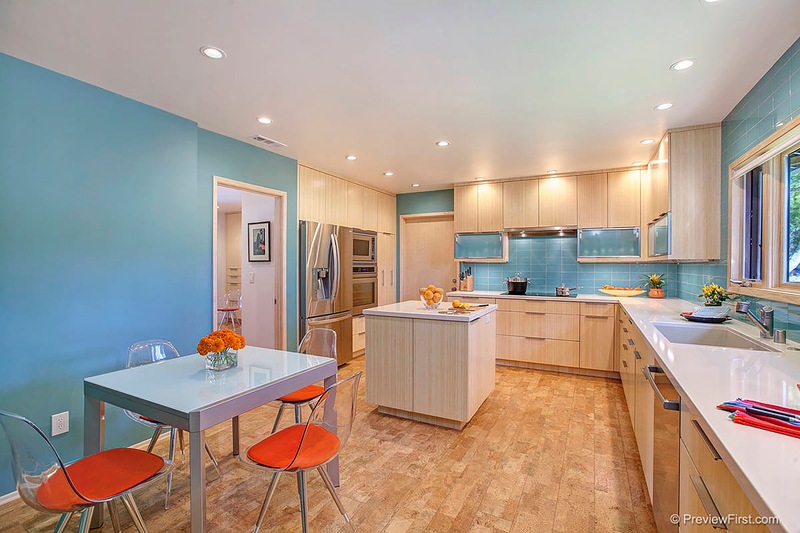 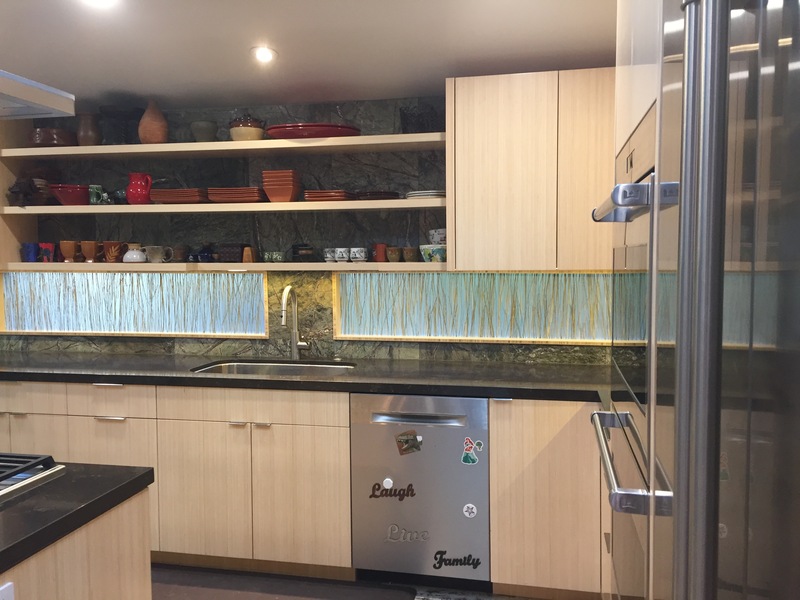 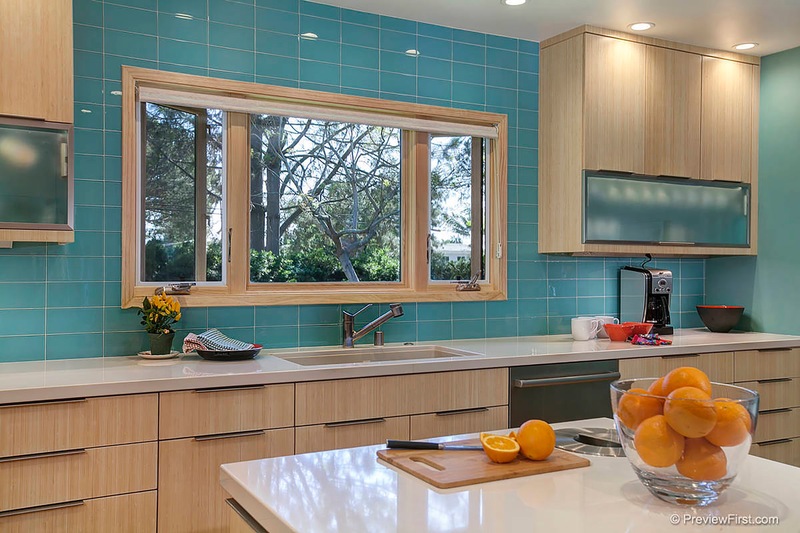 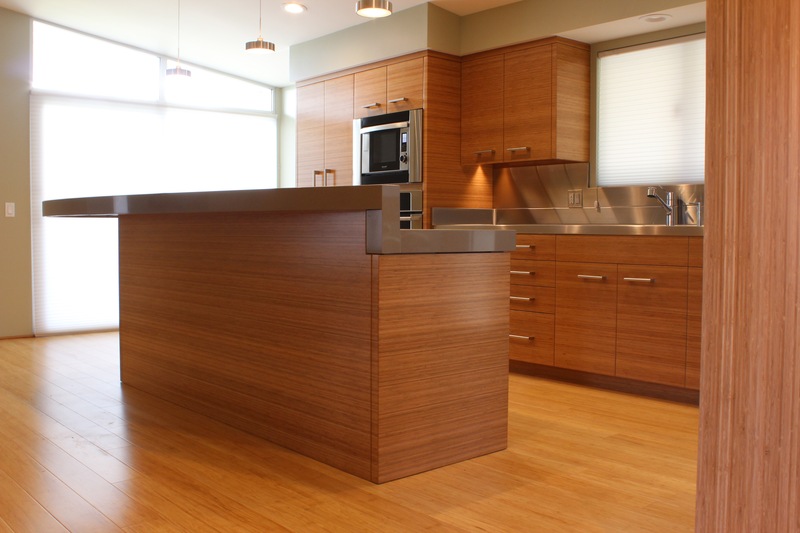 Bamboo kitchen cabinetry utilizes a beautiful natural material that plays well with others. 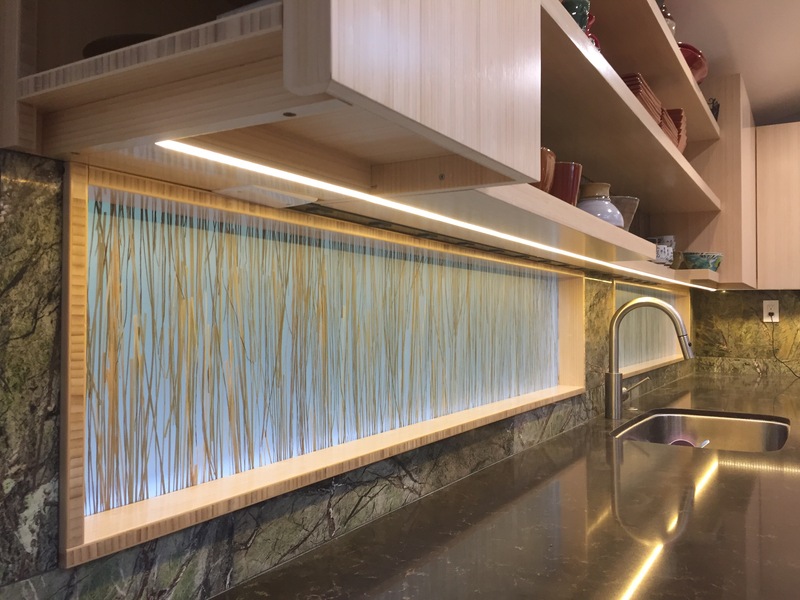 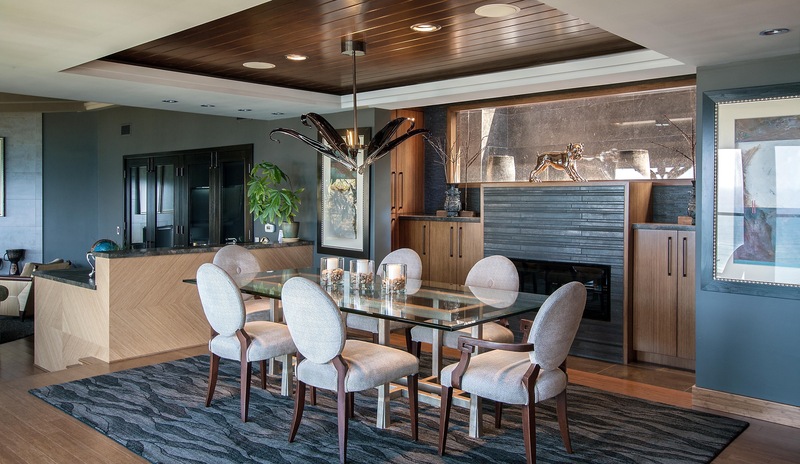 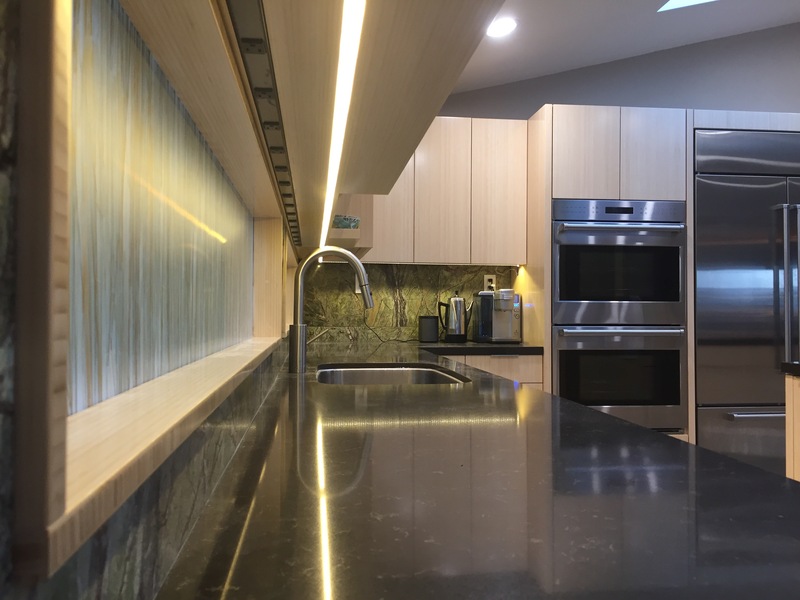 Some of our favorite new designs and remodels have incorporated granite, soapstone, glass, acrylic, LED lights, fabric and leather barstools, metal, ceramic tiles… We use a natural or slightly deeper amber bamboo ply, and can stain the material to match any aesthetic. 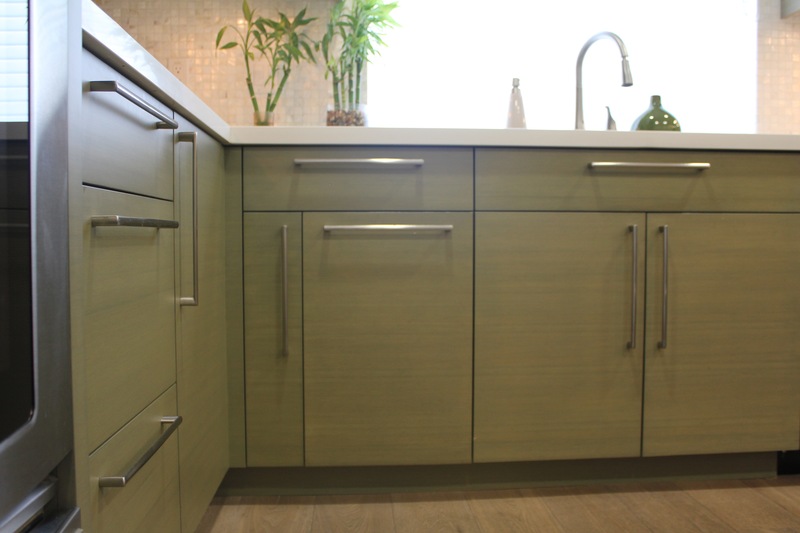 Combined with the durability of bamboo, new kitchens are our specialty, and our most popular offering.